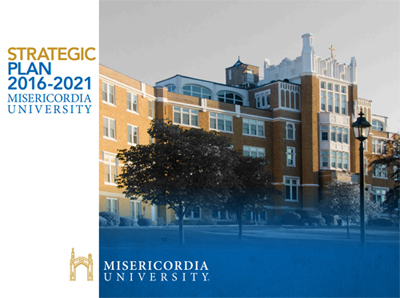 Leadership Council and Planning Steering Committee (administrators, faculty, staff and student governance representatives) spent a great deal of time reviewing findings from planning meetings and putting together a comprehensive plan for Misericordia University. They allowed for feedback and comments from faculty and staff to ensure everyone had a say in the future goals of the University. 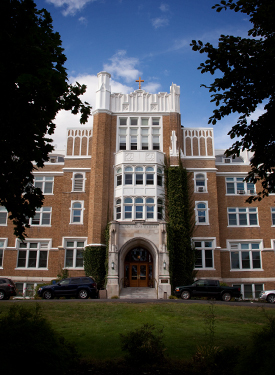 The plan was affirmed by the Board of Trustees at the Annual Board Meeting in June 2016. The Strategic Plan was broken down into four distinct goals, which are explained in the accordion menus below. 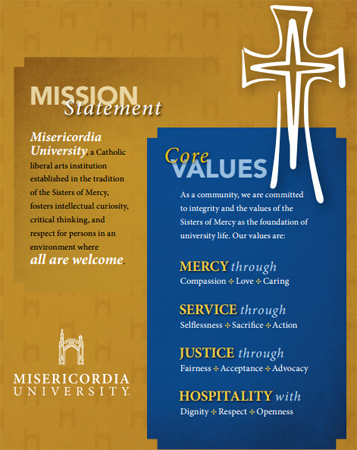 Misericordia University is a stellar Catholic and Mercy institution, nationally recognized for our seamless integration of mission and academic excellence. Review and revise financial aid and tuition practices for supporting student enrollment and retention initiatives; Continue to support enrollment marketing initiatives to enroll, retain and support students. Refine existing instructional delivery systems. Continue to highlight faculty, student and staff for achievements through marketing initiatives. Address significant community concerns identified in institutional surveys, including student, faculty and staff satisfaction surveys.